Come Get the one you deserve! If you are thinking about orthodontic treatment, you have come to the right place. Wadden & Tran Orthodontics has over 35 years of experience and is among an elite group of board certified professionals who have passed rigorous testing and demonstrated the highest standards of treatment. Notwithstanding all the formal training, Dr. Wadden and Dr. Tran have an eye for the aesthetic to craft the best possible smile that lies within a particular facial structure. 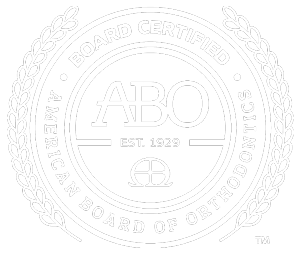 Top off all of these qualifications with a kind and gentle personality and you have some special orthodontists! Wadden & Tran Orthodontics have been voted the best orthodontists in Milpitas for over 25 years in a row. There's a reason! The smiles they create are stunning. Their staff are friendly, helpful and knowledgeable. They are the best of the best! "Dr. Tran, Wadden and staff are excellent! One of the best offices I have seen. Very friendly staff and both doctors take great care of their patients. Very satisfied!" "My mom was a patient here as a teenager. Now I get to see Dr Wadden too!" "Dr Wadden and his team are amazing. They were able to readjust my bite & alignment giving me the smile I always wanted! The staff is friendly, polite and very informative about all the procedures!"